The list can go on and on. 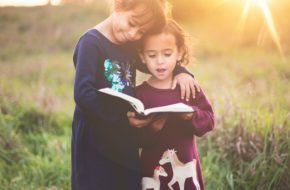 On a weekly basis, our email inboxes, kids’ backpacks and Facebook newsfeeds are filled with multiple opportunities to volunteer. These are great opportunities to make a difference … yet we receive so many that we typically can respond only to a few. That can make the task for finding and organizing volunteers overwhelming. 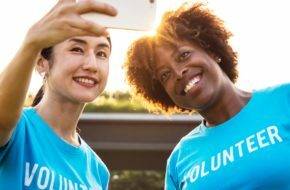 In fact, most people seem to fall into one of two types of categories—those who avoid any type of all volunteer activity and those who volunteer for everything. Unfortunately, members of that second group can eventually burn out and become part of the first group. So why doesn’t everyone just do their part so the same people don’t burn out? A common response when people are asked to volunteer is “I just don’t have time.” This may be true for a few people, but if you were to provide a flexible, organized and productive opportunity to volunteer, some of those people who say they are too busy might be willing to give you time within those specific parameters. At the same time, it can be tiresome if you are part of the group that constantly volunteers for everything. In fact, I’ve found that situation can actually create an issue for some potential volunteers. When the same people are always in charge and recruit their own friends or family first, the group can seem as if it’s a clique or otherwise be intimidating to those outside their circle. So, when recruiting new volunteers, ask those you’ve contacted if they know someone who would like to join them. Determine what they enjoy doing and their availability and then try to match those characteristics with the position you need filled—before you ask your best friend to do it (who most likely would do it anyway!). When I was asked to fill the role of vice-president of a booster club, I also was asked with whom I would like to do the job. I appreciated having that input because I would be spending a lot of time planning and executing plans with that person. Some people don’t volunteer because of bad past experiences. To be honest, if you ask me to volunteer and then rudely boss me and others around, chances are the next time I am asked to help with that activity, I’m going to pass. Therefore, be sure if you are leading volunteers that you don’t make anyone feel like “just” a volunteer. Managing volunteers is not much different from supervising employees—be organized, respectful, flexible and a good communicator. If you have to correct someone or hold him or her accountable, be sure your communication is kind and straightforward. Ask volunteers for feedback. Be thankful for their help because, let’s face it, without them you could not complete your objectives. People also may avoid volunteering if they feel they are not really contributing. Have you ever signed up to help somewhere only to discover there were too many volunteers and you just stood around doing nothing while thinking of all the things you could be doing at home? If you plan activities that require volunteers, be sure you have a position for everyone. Remember that the reason so many people volunteer is because they want to contribute to help a person, group or a cause. If there is no “job” for them to do, they will most likely feel their time was wasted. Equally important is not to take advantage of those who do volunteer by asking them often to stay late. Consult with others involved in your activity to determine reasonable expectations. You may be the type of person who sets up, oversees and cleans up an entire event, but breaking that into shorter intervals for others who may not have the same availability or energy level will produce better results. Sometimes “life” happens and regular volunteers just need a break for a variety of reasons. My family and I volunteer in our church nursery once a month but there are a few times throughout the year we travel on the weekends for club sports. I’m grateful that the nursery leaders understand and work with us by scheduling replacements without making us feel guilty! That flexibility keeps us fresh and we are able to give our best during the months we can be there. Keep in mind people will invest their time, resources and best efforts in events and causes they believe are important. When leading—or recruiting—volunteers, you can never go wrong using thoughtfulness, empathy and commitment to guide your requests.